The essential Home DVD converter for your iPod! 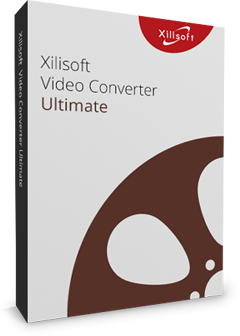 Use Xilisoft DVD to iPod Converter to convert home DVDs into formats playable on your iPod such as MP4, MP3, AAC and M4A with superb sound and picture quality. You may also convert music from your favorite Home DVD movies to play on your iPod or even on your iPhone. Support for NVIDIA CUDA and AMD APP technology delivers a 5X faster performance in processing and leverages the power of the GPU to the maximum and produces faster result. Enjoy DVD Movies in your iPod on-the-go! Support for NVIDIA CUDA & AMD APP technology which can deliver huge gains when converting DVDs and up to 5X faster performance in processing. Show off DVD movies on your iPod, iPod touch, iPod classic, iPod nano and even iPhone. Convert DVD music to iPod audio (MP3, M4A, AAC) so you can listen to your favorite movie scores on your iPod anywhere you go! This DVD to iPod converter offers a "One-Stop" solution to converting DVD and transferring the outputted files to iPod. Download DVD info on the internet automatically while loading so you are able to add more information like film title, actors/actresses, chapter titles, scene names and more. To save time, a single file can be set with multiple profiles for multiple outputs. A smart Bitrate Calculator tool to compute the output file size for your convenience. Want to clip a favorite scene? Set your preferred clip start and end time. Want to split file to fit your iPod? 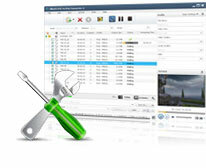 Set split file size and time your way. You can even customize an existing profile and save it as your own. Preview videos in the built-in resizable player and take snapshot anytime during preview. 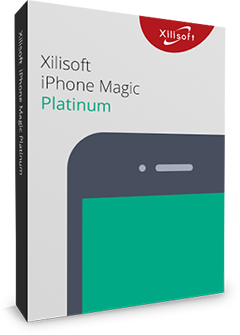 Supports multithreading and batch processing, so not a second is wasted! Do other tasks while the conversion is running in the background. Change skins and languages to suit your preference. Easy power management is supported in this DVD to iPod converter.